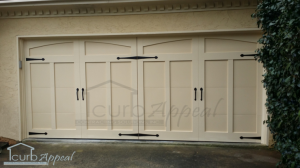 We offer our full range of garage door and home improvement services to homes and business across the Alpharetta, GA area. We’ve done work in subdivisions throughout Alpharetta, from the picturesque Lake Windward to the thriving Arnold Mill area. From businesses at North Point Mall to churches in the area, our quality of work stands out. We fix broken springs and sections, repair cables and other garage door components. 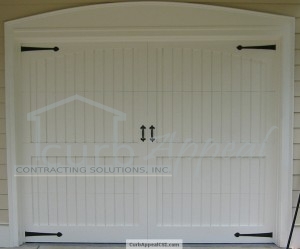 We repair and install new garage door openers. Chain drive, belt drive and specialty types of garage door openers are available. Your home is a big investment. Let us take care of your home repairs and remodeling projects for professional results. Carport enclosures, decks, painting, new storage buildings and more. A Few Things We've Done In The Alpharetta, GA Area! 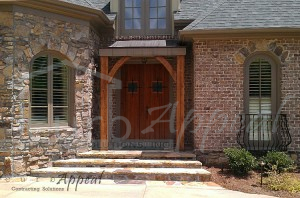 This home in Alpharetta, GA has a wood front door that has been refinished with new stain and poly coats. 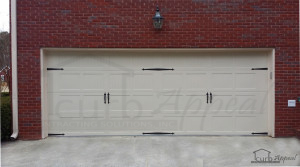 This was an existing garage door that had the bottom section replaced. 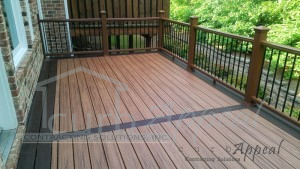 The bottom section was built on site in order to ensure that everything matched up perfectly.